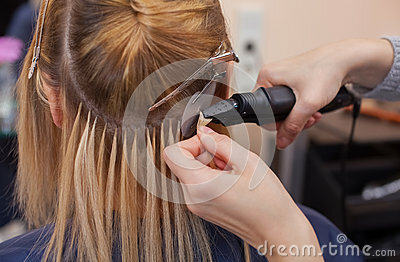 The hairdresser does hair extensions to a young girl, a blonde in a beauty salon. The hairdresser does hair extensions to a young girl, a blonde in a beauty salon. Professional hair care.